A number of tax returns follow the same penalty rules for late submission. Late returns can be subject to a mix of fixed and tax geared penalties. The current late filing penalty regime was introduced by section 106 and Schedule 55 of 2009 Finance Act. The filing deadlines remain unchanged. Special rule also if the taxpayer is held to be deliberately withholding information that would enable HMRC to assess the tax due. deliberate and concealed withholding 100% of tax due, or £300 if greater. deliberate but not concealed 70% of tax due, or £300 if greater. *The penalties for being 6 months late and 12 months late are subject to the interaction rule in para 17(3) and taken together they should not exceed 100% the tax due. See Penalties, Grounds for Appeal, HMRC error. **Higher penalties apply for returns of category 2 and 3 information. Penalties: SA late filing and payment for worked examples. Penalties, grounds for appeal: HMRC error for cases on miscalculation of penalties and errors in penalty notice and other failures and cases featuring successful and unsuccessful appeals. No penalties were charged for late filing before 6 May 2016. In May 2017 HMRC confirmed that it would not charge daily penalties. This note tracks the wide range of different decisions with regards to reasonable excuse for failing to file a return and penalty miscalculation issues. This takes you step by step through the appeal process. Sch 55 penalties were to apply to PAYE from 2013/14. Under the change over to Real Time Information (RTI) filing, sch 55 does not apply until March 2015. For PAYE Annual Returns due for 2012/13 the late filing penalty is £100 per month, per 50 employees. If the filing deadling of 19 May is missed the fine will be £100, even if only a part-month late. HMRC will not raise a penalty notice until you are four months late, and it will not do this until September, so if you forget to file a return you will be probably incur a penalty of £400. 5% or £300 will apply, unless the taxpayer is held to be deliberately withholding information that would enable HMRC to assess the tax due. deliberate and concealed withholding maximum of 100% of tax due, or £3,000 if greater. deliberate but not concealed maximum of 70% of tax due, or £1,500 if greater. deliberate and concealed withholding £3,000. deliberate but not concealed £1,500. When the first CIS return is filed the total penalty for all defaults is a maximum of £3,000 and the tax geared penalties cannot apply. HMRC announced that transitional measures applied to certain new contractors who were charged penalties in 2009/10 and 2010/11. The 2010 Finance Act modified Sch 55 introducing toughter penalties for category 2 and 3 offences (relating to offshore income and gains). The effect is that penalties for inaccuracy increase to 45% for a careless but not concealed error to a maximum of 200%. 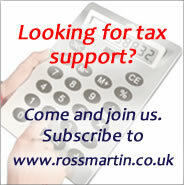 HMRC may determine the amount of tax due in order to raise a tax geared penalty. The amount will be re-assessed when the taxpayer makes the return. No penalty applies where the taxpayer satisfies HMRC or the tribunal on appeal that he has reasonable excuse for the failure. Insufficiency of funds or relying on another to do something is not a reasonable excuse. Following the end of the reasonable excuse circumstances the failure has to have been remedied without unreasonable delay. Measures in Finance Bill 2019 which proposed to replace the schedule 55 FA 2009 regime with a points based system of late filing penalties: designed for Making Tax Digital and to initially apply to Income Tax Self Assessment and VAT, have been dropped following budget 2018. HMRC have said that they will instead be included in a future finance bill. The new system replaces the schedule 55 FA 2009 penalty regime for the relevant returns. A point will accrue for each failure to submit on time. When the point threshold is reached, a penalty will be charged. Points will be reset after a period of good compliance.